How to build wealth in your 30's, 40's and 50's – to set yourself up for life! Many of us love a good acronym. Well, love might be too strong a word…but acronyms can simplify the complicated and provide an easy structure to remember summaries of key points. Building towards financial freedom can be confusing and overwhelming. Recently when I was thinking it might be useful for you to have an acronym for Financial F.R.E.E.D.O.M…below is what popped into my head. Hope you find it useful on your path towards achieving future financial freedom. Before you begin any journey, it’s important to know where you want to go and crucially also “Why”. It’s your Why that will help you persist and persevere through the inevitable challenges and set backs on your journey towards future financial freedom. As we explored in Wealth Creation for Generation X – Clarity is Critical the power of written goals is hugely underestimated. Before starting (or continuing) your quest towards future financial freedom…the first step is actually putting down on paper what you are looking to achieve from a financial and lifestyle point of view. But don’t just stop there. Dig a lot deeper and explore Why do you want to achieve your various financial and lifestyle goals? What will it mean to you and your family? How will you be able to give back and help others? What legacy do you want to leave? Recently I heard of a powerful strategy in determining your real Why. It’s called “7 levels deep” and I heard this via Dean Graziosi’s audiobook Millionaire Success Habits. It works by partnering with a trusted person to ask you seven successive “Why” questions starting with “Why do you want to achieve financial freedom?” (or whatever your main goal is). Each question incorporates the previous answer. For instance your answer to the above question might be that you “want to create a great life for you and your family”. The next question would be “Why do you want to create a great life for you and your family?”. Your answer, “to provide choice and options”…next question “Why do you want to provide choice and options?”….and on it goes. The first 4 or 5 answers will come from your head. The last couple will come from your heart…with the answer to question 7 being your real Why. This will be your main driver and motivator. R – Review your current position. Next step is reviewing your current position. Also it’s reviewing what you have done previously to bring you to where you are today. This can be confronting. Especially if you are not happy with the position you are currently in. Devote some time to this and be honest with yourself. List your full assets and liabilities. What is your current net worth? Review your cash flow position. Pull out your superannuation statements and insurance statements. Do you know how your super is invested or what insurance coverage you have? Do you have a Will? Is it current and does it reflect your wishes? Are you actually on track towards achieving your goals? Honestly reflect on where you are now. Are you pleased with your financial progress to date? If so, congratulations. Keep at it. If not, get busy doing something about it. Unless you have already achieved financial freedom, your greatest asset is not your house, your super balance or your share portfolio…your greatest asset is your future earning capacity. After figuring out what you want to achieve and why, along with reviewing where you currently stand…the next step is to focus on both growing and protecting your earning capacity. In Wealth Creation for Generation X – Making yourself more Valuable we explored that one of major roadblocks to building wealth for most people is cash flow…or lack of it. And there are only two ways to create surplus cash flow – decrease expenses or increase income. The best and most sustainable way for Gen Xer’s & Gen Y’s to build towards Future Financial Freedom and create Generational Wealth is to create cash flow by increasing your earning capacity. Then it’s crucial to protect your earning capacity. Let me ask you this…if you had a money machine in your living room producing the equivalent of your yearly income whether you worked or not…would you insure this machine in case your house burned down or you got robbed? More than likely the answer would be “you bloody bet I would”. Yet too few people have adequately protected their income or secured their family’s future in the event of them not being around. Cash flow is like oxygen and Wealth Creation for Generation X – Protect your greatest Asset (part 1) covers the key areas to consider to protect your earning capacity. Of course life is not just a financial decision. While building towards future financial freedom it’s also very important to enjoy the present moment and live today. Investing cash flow for future wealth creation is important however so is celebrating and rewarding yourself for progress along the way. When developing financial strategies for clients, we stress the importance of allocating money for regular fun and holidays. Now you don’t need to be going to Europe every year (unless you can afford it) but regular breaks and family holidays will help you to recharge and keep you motivated. It’s amazing how beneficial even a long weekend away can have on your motivation and well being. Treat yourself and celebrate your progress! It’s all very well to have clear goals and created surplus cash flow…but you also need a step by step Game Plan. This first part of this point is all about determining what is required to achieve your goals…then mapping out exactly how you are going to allocate your money to build wealth for the future and manage debt along the way. What level of ongoing savings, investing and debt reduction are required to achieve your goals? Wealth Creation for Generation X – Where should you invest your money? covered the 5 main areas to focus on to give you the best shot of achieving future financial freedom, while managing risk and being flexible along the way. The next part of this step is to implement your Game Plan. The best Game Plan in the world is worthless unless you action the key steps. Make sure you take consistent action. “D” is also Determine how much is enough? What level of investment assets is required to achieve financial freedom? As covered in Wealth Creation for Generation X – How much is enough…really? it depends on your what your financial and lifestyle goals are…and it depends upon who you ask. Getting really clear in “F” & “D” is crucial. You don’t want to wake up one week, one month or one year away from your proposed “retirement” and realise you have nowhere near enough financial assets to cover the lifestyle you want. Any Gen Xer’s who are still thinking that the government will provide them with an Age Pension should look at this closely. Additionally “O” stands for – Other people’s time, Other people’s efforts, or Other people’s knowledge. How could you leverage other peoples knowledge in order to accelerate your journey towards future financial freedom? M – Manage your strategy & Monitor your progress. Whilst it shouldn’t be too complicated, working towards future financial freedom should not necessarily be a set and forget strategy either. Things change…including your goals and plans. It’s important to monitor your progress and manage your Game Plan. At least once or twice a year allocate time to revisit “F” and “R”, plus continually look for ways to grow your earning capacity and plan how you are going to celebrate your progress along the way! 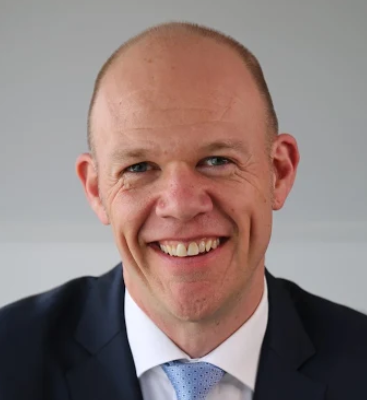 Matthew Morrison is the Director of Wealth Advisory at The Practice, a Personal Wealth Advisory & Business Advisory firm based in Melbourne & Sydney. Matt along with The Practice team are committed to and passionate about developing & implementing wealth creation strategies for clients to enable them to Fuel their Family’s Future (while protecting them along the journey). Matt and The Practice team can be contacted via http://thepractice.com.au or (03) 8888 4000. Disclaimer – the above views and ideas are general advice only and are purely the opinions of the author. It’s important that you seek professional advice tailored to your needs before taking action regarding your financial future. (Also, unfortunately we can’t guarantee the top quality content in this blog will secure you a prosperous future if you ‘try this at home’, or trust any old backyard financial adviser to help you & your family with what is one of the most important decisions you’ll ever make…who to partner with on your quest to build wealth & create future Financial Freedom). 10 Key Questions you should ask a Financial Adviser before choosing to engage them.